Added by Indo American News on June 25, 2013. Over the years, researchers have found that a post-meal walk, as short as 15 minutes, can in fact help with digestion and improve blood sugar levels. Inone study in 2008, German researchers looked at what happened when people ate a large meal and then consumed either an espresso or an alcoholic digestif — like brandy or flavored liqueur — or walked at a slow pace on a treadmill. Walking, they found, sped the rate at which food moved through the stomach. The beverages had no effect. In a study published in 2009, researchers found that a 20-minute walk about 15 minutes after dinner led to lower post-meal blood sugar levels in people with Type 2 diabetes than either a walk before dinner or no walking at all. 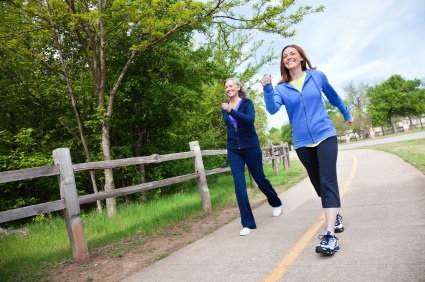 Another study, published recently in Diabetes Care, found that in older adults who were overweight and sedentary, walking for 15 minutes shortly after each meal improved daily blood sugar levels to a greater extent than a single 45-minute walk in the morning….